 Application for membership in the American Laryngological Association is by invitation. Therefore, applications for Active Fellowship, Corresponding Fellowship and Post-Graduate Fellowship are available to members only. These applications can be printed from the secure page for members on this website after successful login, or by contacting the ALA Administrator. Click to access membership application (Active/Corresponding/Associate). Active – Active Fellows should not exceed two hundred fifty (200) in number. A candidate for Active Fellowship must be a duly licensed physician, admitted to practice in the country in which he/she resides, and must have been a recognized specialist in the diseases of the upper aerodigestive tract for a period of seven (7) years. The candidate must be a diplomat of the American Board of Otolaryngology or its equivalent as determined by the Council. The candidate must be a member of the American Laryngological, Rhinological, and Otological Society, Inc. – Triological Society. He/She must have, within a five (5) year period, documented evidence of attending three (3) annual meeting of the ALA and served as an author or co-author of an oral or poster presentation of at least one manuscript. Said documentation including registering and attending the Scientific Sessions. A resident of any country in North, Central, or South America may, when duly qualified, become a candidate for Active Fellowship. Corresponding – Corresponding Fellows shall not exceed fifty (100) in number. Any person, who in the judgment of the Council, shall have made distinguished contributions to medicine or the sciences related to the field of Laryngology and has been a recognized specialist in the diseases of the upper aerodigestive tract for a period of seven (7) years following completion of training, shall be eligible for Corresponding Fellowship and may be recommended by the Council to the Association for election. The Corresponding Fellow is subject to payment of dues equal to fifty percent (50%) of Active Fellows; he/she may not hold office or vote. Associate – Associate Fellows should not exceed thirty (30) in number. Any person, who in the judgment of the Council, shall have made distinguished contributions to medicine or the sciences related to the field of Laryngology and is a resident of North, Central, or South America shall be eligible for Associate Fellowship and may be recommended by the Council to the Association for election. Such individual must be a resident of North, Central, or South America. This category will usually be reserved for non-physician scientists or those physicians who do not qualify for Fellowship under Article IV, Section 2. A. The Associate Fellow is subject to the payment of dues equal to fifty percent (50%) of the Active Fellows dues; he/she may not hold office or vote.